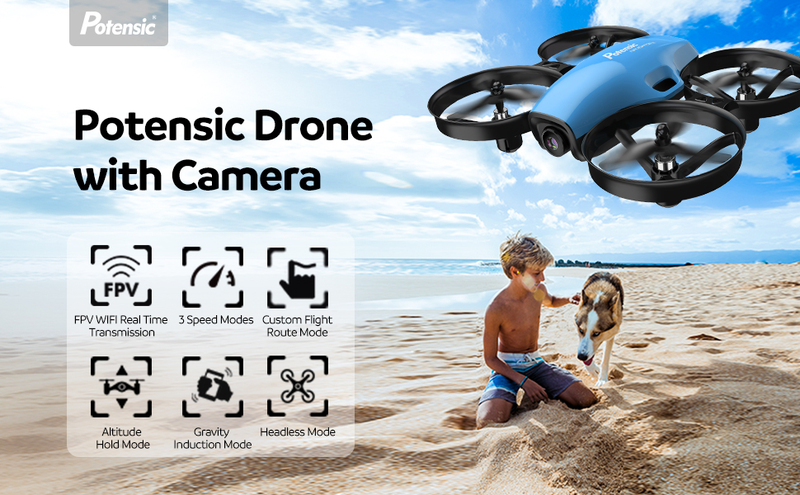 WIFI FPV HD Camera: Pairing your RC drone with your iOS or Android smart devices and stream a live video and/or photo feed while flying! Gravity Induction Mode: Enables the drone to follow the direction you move your smartphone. Headless Mode: Avoid the difficulty of identifying the head and tail when you start to fly. Custom Flight Route Mode: Fly according to the appointed flight path on the phone. 500mAh removable battery: Easy to pull out and charge; support longer flying time. Altitude Hold Function: Hover the drone at a certain height.